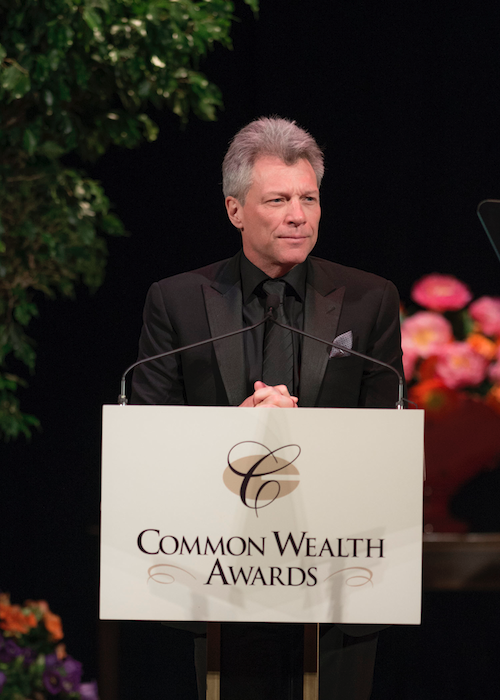 This past Saturday, April 25th, Jon Bon Jovi was honored for his lifetime accomplishments at the 36th Annual Common Wealth Awards ceremony in Wilmington, Delaware. 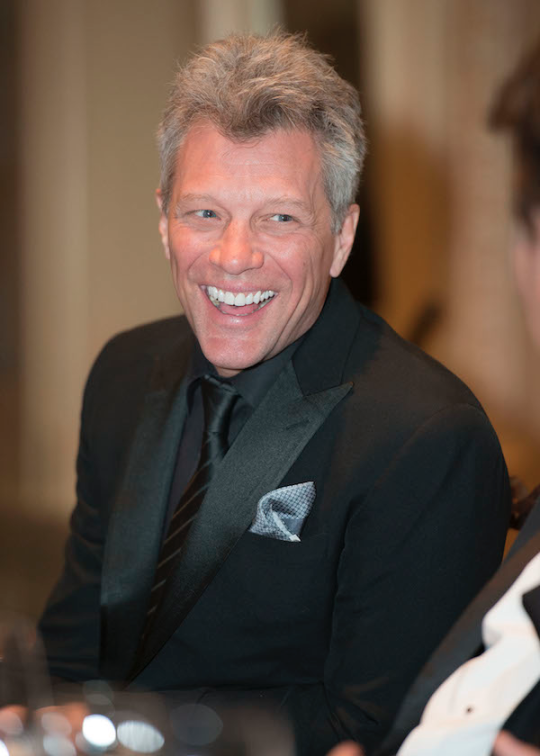 The awards recognized individuals who have enriched modern culture through their professional and personal endeavors. – Jimmy Wales, founder of Wikipedia, for Mass Communications. 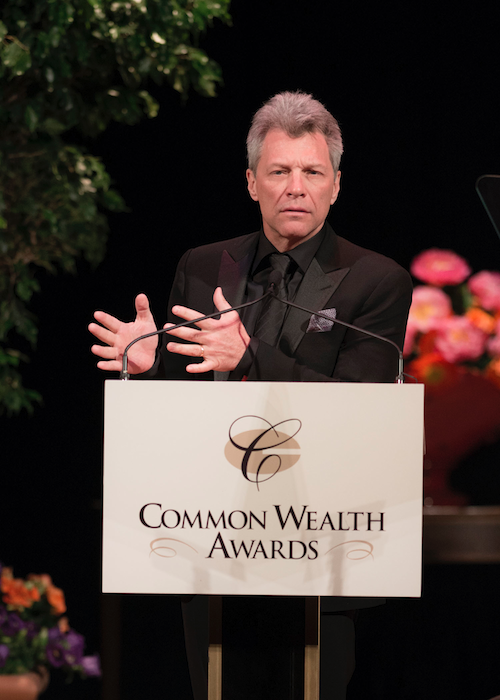 Jon Bon Jovi, along with actor and philanthropist Edward Norton and Jimmy Wales, founder of Wikipedia, were honored, with the 36th Annual Common Wealth Awards of Distinguished Service. 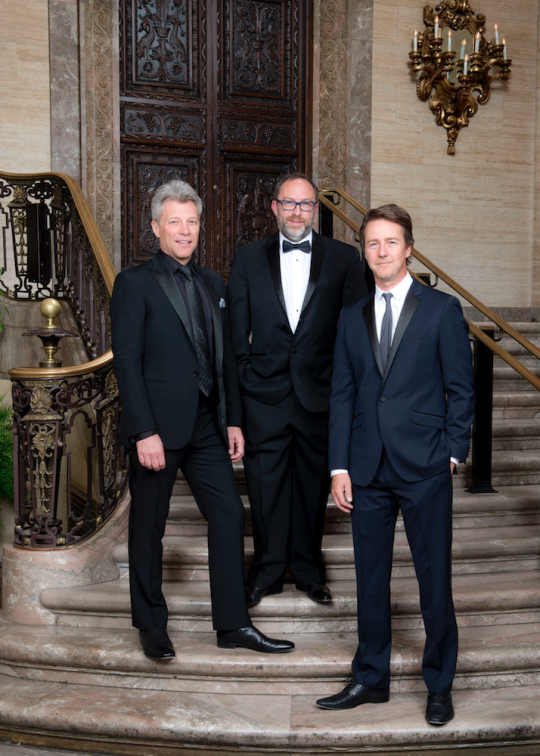 The awards recognize individuals who have enriched modern culture through their professional and personal endeavors. 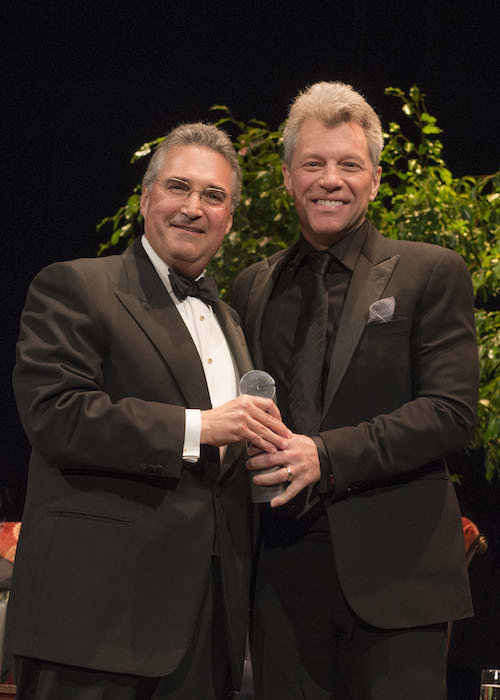 Nicholas M. Marsini, Jr. regional president for PNC Bank, Delaware presents the 2015 Common Wealth Award for Public Service to Jon Bon Jovi on Saturday, April 25th at the Hotel du Pont in Wilmington, DE. 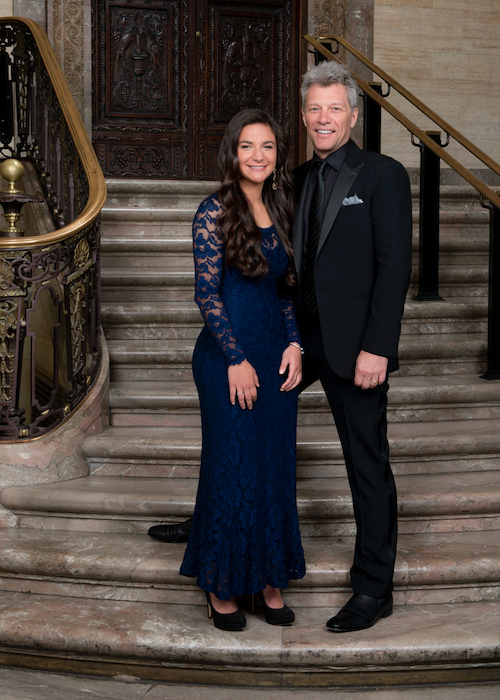 Jon Bon Jovi with essay winner Francesca Marinaro, an 11th grade student at Padua Academy.